Functional Testing ensures that any Product released to the customer should perform as expected. Functional testing is carried out to verify whether each function of the software application functions as per the specification. Lack or improper functional testing might lead to faulty product reaching the users which has a negative effect on the overall reputation, user experience and other commercial impacts. Functional testing is very crucial step in the overall testing process as it involves testing each and every functionality of the application. Typically, functional testing involves black box testing as it does not take in consideration the source code of the application. Though functional testing is a common activity in the software testing process, it requires thorough understanding of the requirements from the application based on which proper test cases need to be designed. As the nature of software applications becomes function-heavy and complex, so becomes the functionality testing. Increased complexity significantly enhances the chances of functionality issues creeping in the application. Hence, it becomes critical that the team carrying out functional testing is well aware of all the functionalities and carries out testing for each of them. 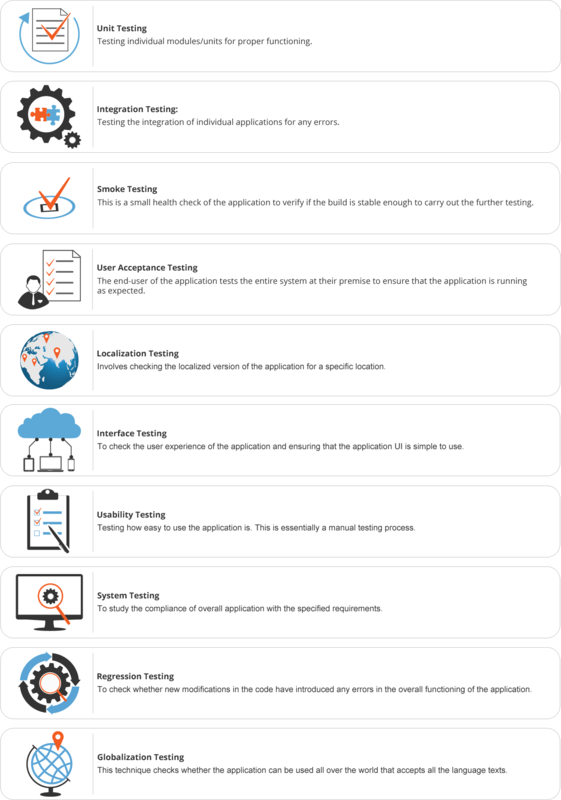 Though functional testing is a single term, it is an activity comprising many sub activities. Functional testing involves testing each of the individual modules for correct functioning (unit testing) and then also analyses how these individual modules function together and work as per the specific requirements. Functional testing process begins with understanding the requirements of different functionalities of the application. This is the most crucial step as it determines the overall success or failure of the product. After the testing team gets the clear understanding of the functional requirements, various test inputs are selected to test each and every functional aspect of the application. An output for each input is computed. The fourth step involves actually executing the application for these selected inputs and then comparing these actual outputs with the computed outputs. Any gaps between the actual and computed outputs means presence of functional issues in the application then are de-bugged. Smartsourcing Global has been partnering with leading product development companies and helping them with functionality testing for past many years. Our association with clients from different segments has resulted in a rich experience which spans across multiple domains. Our expertise enables us to handle complex projects from a wide range of domains and provide thorough testing services. Smartsourcing Global has over the period strategically developed its skill sets in both manual and automated testing. This dual expertise allows us to provide most cost efficient solution to our client depending upon the complexity and size of the project. Many times, delays in application testing derail the product development timelines. Smartsourcing Global has dedicated teams of skilled testing engineers for functional testing which can seamlessly carry out testing activities without hindering the product development timelines of our clients. Smartsourcing Global has an in house Real Devices Test Lab with devices / machines of various versions / flavors, which enables our Team of experts to simulate any situation and test the application. Our Team of Experts is takes a deep dive into the product testing and strives to ensure best quality with optimum utilization of the available resources. Smartsourcing global has been building and testing software products and is most effective in utilizing its experience in supporting our customers achieving their Goals.